This basic functional promotional first aid kit is an inexpensive promotional item that is sure to be used. Pocket-sized heart shaped promotional pill box is ideal for carrying a variety of pills, large and small. When an ordinary pill box just won't cut it, put your logo on this custom pill case. When an ordinary pill box just won't cut it, put your logo on this compact promo pill cutter and pill dispenser. Use these colorful Vibrant Promotional Bandage Dispenser as giveaways for health, education, and sports promotions. Low-cost promotional emery board handout to keep your customer's hands looking as great as your company logo! This tooth shaped promotional hot/cold pack is filled with non-toxic gel beads that stay hot or cold. 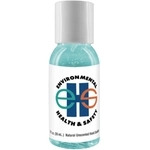 Color Moisture Bead Promo Sanitizer - 1 oz. Promo sanitizer with color moisture bead tint to match your logo. Moisture beads release lotion to keep your hands from drying out from this custom hand sanitizer. Promotional anti-bacterial gel sanitizer in this 2 oz Clear Promotional Sanitizer Gel Squeezie Bottle kills 99% of all germs in each regular use. Pocket-sized Oval Custom Promotional Pill Box ideal for carrying a variety of pills, large and small. Color Tinted Promotional Sanitizer - 1 oz. Promotional sanitizer with color tint to match your logo. A 3 compartment pill promo box with contemporary design that allows for convenient access to pills. Promotional Aloe Gel w/ White Disk Cap - 2 oz. Promotional Aloe Gel with White Disk Cap is the perfect promotional product for outdoor events and summer promotions. Full Color Promo Sanitizer w/ White Disk Cap - 2 oz. This amazing 2 oz. Full Color Promo Sanitizer makes hand washing possible anywhere. No water is required to kill 99% of all germs with this anti-bacterial hand gel that leaves hands clean and dry. Electronic Talking Promotional Hand Exerciser builds hand strength. 5-Function Promotional Pedometer designed to count steps, calories, distance traveled and has a built-in clock. Full Color Promotional Sanitizer w/ Flip-Top Cap - 0.5 oz. With promotional sanitizer your logo will clearly be handy all day. 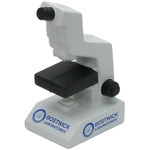 These microscope customized stress balls will really put your giveaways under the scope! Low-cost promo emery board is a great handout to keep your customer's hands looking as great as your company logo! Life has plenty of unexpected bumps and bruises - ePromos' promotional items for the health & dental insurance field will remind people that your agency is there to help. Clients can take care of small cuts with promotional first aid kits and custom imprinted cold packs. Promote good health practices while advertising your company with promotional sunscreen, customized dental floss keychains, personalized pills boxes and more.